As A-Level results day approaches, you find yourself asking what if I don't get the grades I need for university? Well, in 2013, over 57,000 students snapped up university places through UCAS clearing, 33,000 within the first week after results. You might think that clearing is just for people who missed out on their A-level grades, but, with more universities than ever offering courses through clearing, lots of students are choosing to wait until results day to make their pick, as well as those who are reapplying through UCAS clearing. You don’t get the grades you need on results day for your first choice university. You get better A-levels than expected and want to try applying to a different university through UCAS Adjustment. You didn’t apply or didn't get any offers when you applied the first time round, but don’t want to take a year off and reapply. It’s important to be prepared to get the most from clearing, so follow our top tips to stay ahead of the game on results day. It can be a real shock if you don’t get the exam grades you need for your first choice. But it’s important to resist the urge to curl up in a corner, because there is still time to avoid an unplanned gap year. If you act fast and keep your cool, you might even be able to apply to your first choice university through UCAS clearing. Do a UCAS course search, make a list of back up universities that offer your course and write down their phone number, email and typical grade requirements. Think about any alternative courses you might be interested in at your chosen uni. For example, you might already have an offer to study History, but the Sociology or joint honors courses ( e.g. History and a foreign language) tend to ask for lower A-levels and could be a good plan B. Make a note of your clearing number and log-in details for UCAS Track as you will need to give this to universities when applying through clearing. Plan responses to possible questions. 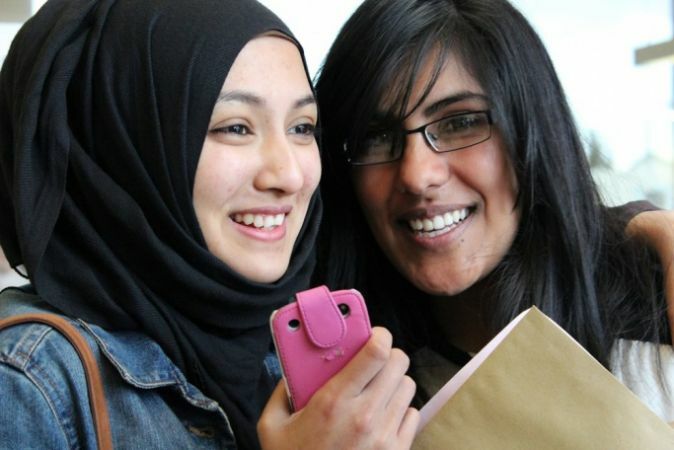 When you call up the universities they will want to know about your A-level and GCSE grades, so have them ready. You may also be asked why you want to study the course in question, which is where it will be helpful to have your personal statement / a planned answer ready and a list of some of the related books that you’ve read. For more information on applying to uni through clearing, read our post about How to Write a Brilliant Personal Statement. On exam results day, when you’re ready to start calling up universities, try and find a quiet and relaxed place where you can talk easily either at school or at home. Make sure you have access to the Internet and a good phone signal too. When you start calling up universities, don’t be disheartened if they say they’re out of space. Places can become available again and they need to be filled, so, if you were turned down first time, try calling again in a couple of hours. There have even been cases where applicants have managed to get interviews right there and then, by simply not giving up. Another tip is to show your enthusiasm for the course, suggest your interest in similar courses to the one you initially applied for and talk about your work and study experience. However, don’t accept absolutely anything. This is a big decision so look carefully at the course content and find something that interests you enough to study it for three or more years. The sheer number of people using clearing means that getting through to the universities takes a while. Your friends, family and even teachers all want you to get to university, so do some recruiting. With several people all calling different universities, you have a much better chance of getting through. However, do try to take the call yourself, the university is usually not allowed to talk in detail with parents about an application. It might be a cliché, but taking a deep breath and speaking slowly can really help you stay calm. Clearing spaces may go quickly but if you stay cool, you will give a much better impression to the university. If a uni makes you a verbal offer, it will typically last for 24 hours. This a means that you do not need to accept it straight away and can carry on calling universities to get a clearer idea of all your options. Make sure to make a note of your offers and who gave them too, as it’s easy to get confused. Now you know all about reapplying through UCAS clearing whether your grades are better or worse than you expected, check out our guide to choosing the right university for you.